Hi ! You wouldn’t believe it if someone told you that you can earn money by eating. Well, place your order on OVEN STORY for a ‘Classic Margherita Pizza’ through CASHKARO and earn when you place an order! Use these OvenStory credits again through CashKaro and earn Rs.90 again for FREE!!!! 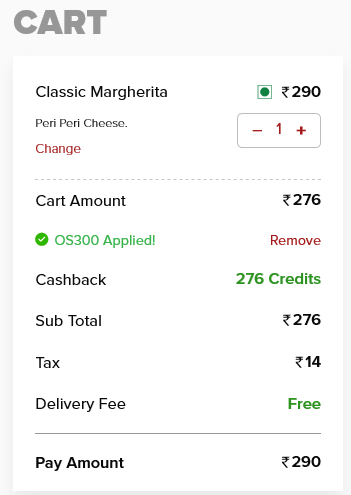 (Classic Margherita Pizza for Rs.290) – (OvenStory Credits of Rs.276) +(Rs.90 Cashback through CASHKARO) + (Rs.50 Signup Bonus) + (Rs.50 Cashback on paying through Paytm)= EARN Rs.190 for EATING A PIZZA!! 4. 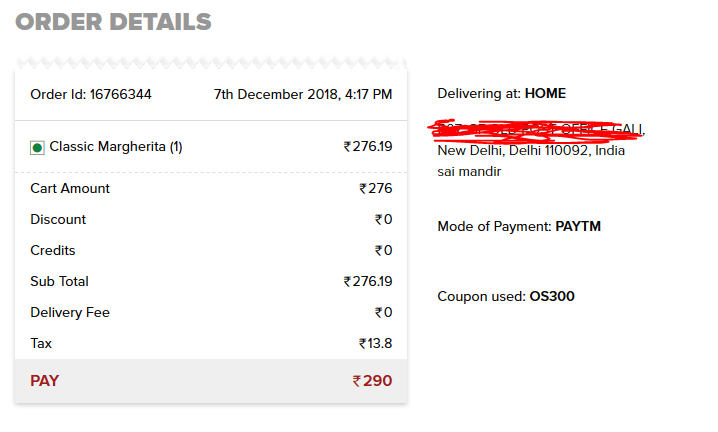 Click on SEE COUPOUNS WITH CASHBACK Button Below it. 5. On Next Page Click On Visit Retailer & Now you will be redirected to OVENSTORY website. 6. Now select ONE Classic Margherita Pizza and buy using your Paytm Wallet. 7. Use Code : OS300 On Check Out Page to 100 % Cash back of Your Pizza Price in Ovenstory Credits. 7.Must Use paytm wallet to Get Rs 50 Instant Cash back in Paytm wallet. 8. On Completing The Payment, you will instantly receive Cashback in your Paytm Wallet. 2. This Cashback Of Rs.90 will be confirmed in a few days and you can transfer this to Bank Account After Approval Of Cashkaro.